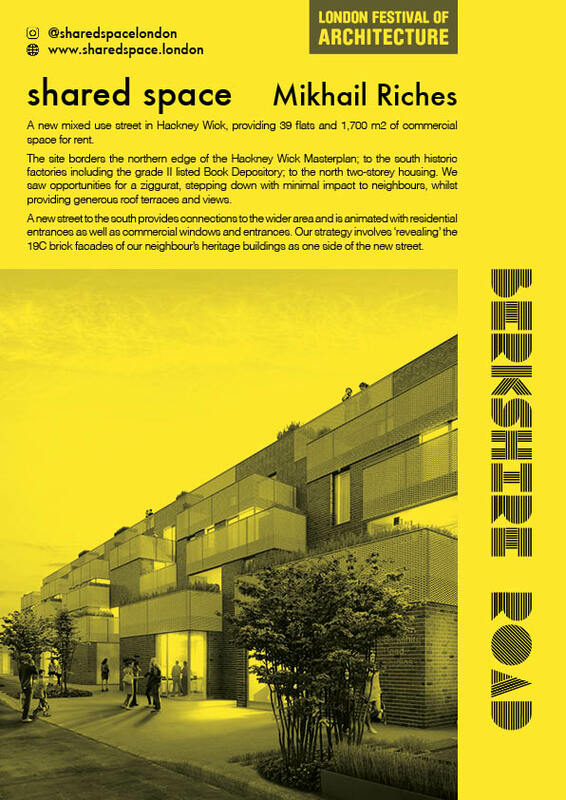 A new mixed use street in Hackney Wick, providing 39 flats and 1,700 m2 of commercial space for rent. The site borders the northern edge of the Hackney Wick Masterplan; to the south historic factories including the grade II listed Book Depository; to the north two-storey housing. We saw opportunities for a ziggurat, stepping down with minimal impact to neighbours, whilst providing generous roof terraces and views. A new street to the south provides connections to the wider area and is animated with residential entrances as well as commercial windows and entrances. Our strategy involves ‘revealing’ the 19C brick facades of our neighbour’s heritage buildings as one side of the new street.